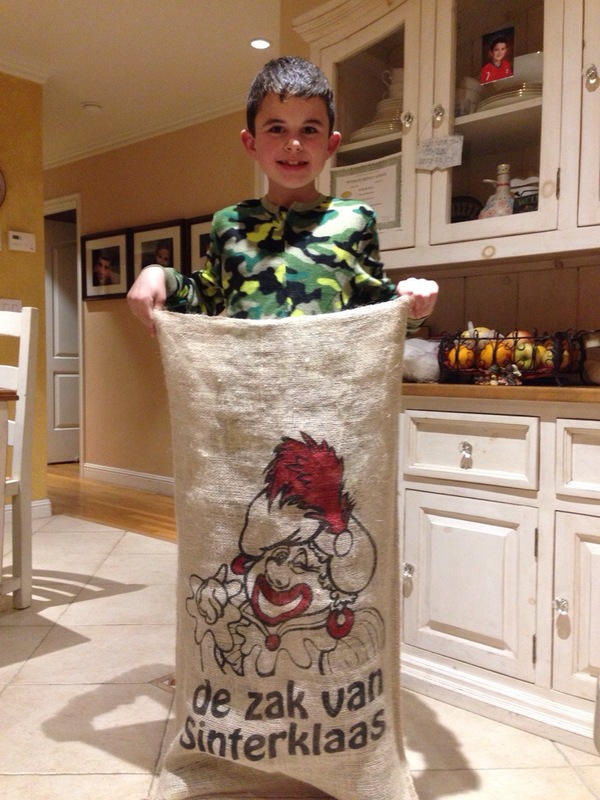 He reminded me again this morning that Sinterklaas was coming tonight on December 5th. All evening he kept singing really loudly and looking out the window and listening for him, a bit nervously. I still told him not to expect anything, but did tell him that I was proud of him for improving his behavior. The smart kid said to me, “Mama, if he doesn’t come, can you just get me a gift instead?” So cute, but I said no. He was getting ready for bed and was in the bathroom, and decided to pray to the bobble head Santa sitting on the counter, praying that by the time he got out of the bathroom that Sinterklaas would knock at the door. Jeff heard the loud knock at the back door and called to Charlie to ask him if heard the knocking sound. Charlie was shocked! His prayer came true. He came out of the bathroom, a bit scared and looking around, not quite sure where to look. I looked out the front door, but nothing was there. Jeff said it sounded like the sound came from the back patio door and that the patio light was on! Charlie was scared to death and couldn’t believe his eyes. Outside the door was a sack filled with surprises. 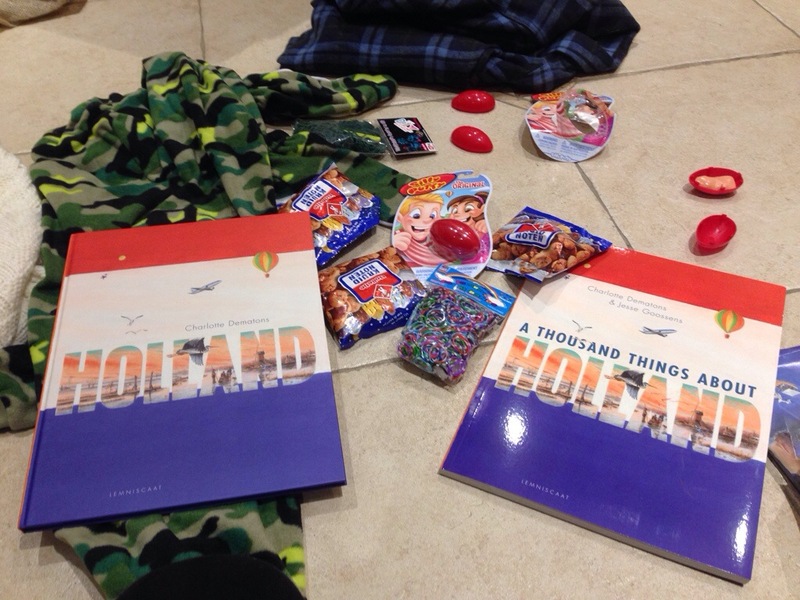 Jeff and Charlie opened the door and discovered all the generous gifts that Sinterklaas left for our family. The excitement and look on his face was priceless. Hearing him thank Sinterklaas was so cute. He said that he could smell the pepernoten out on the patio! Jeff and Charlie went outside to look for him on his white horse with the Zwarte Pieten, but they couldn’t find them. They must move really fast. Oh, the magic and mystery of life, I love it! I loved the look on Charlie’s face when all the gifts appeared on the patio hope he continues to be a good boy. me too! he’s getting better and better! love that kid! I’m glad Sinterklaas was able to find you all the way over there! Wasn’t that amazing? Such a great night!! I think so too. Thank you for sharing and we were thrilled that he found us. Happy Holidays!! 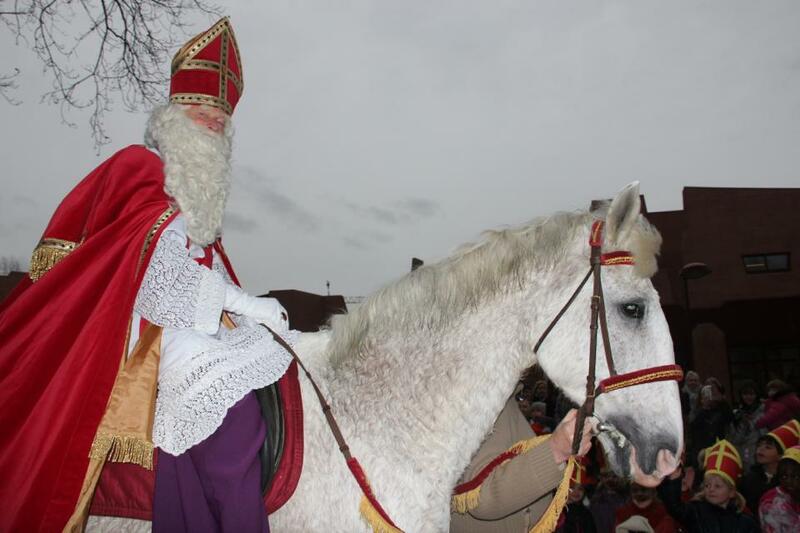 Great man Sinterklaas. Lucky you, Sinterklaas found you guys over there. I hope Charlie continues to be a good boy. Yes he is! Love and miss you guys!